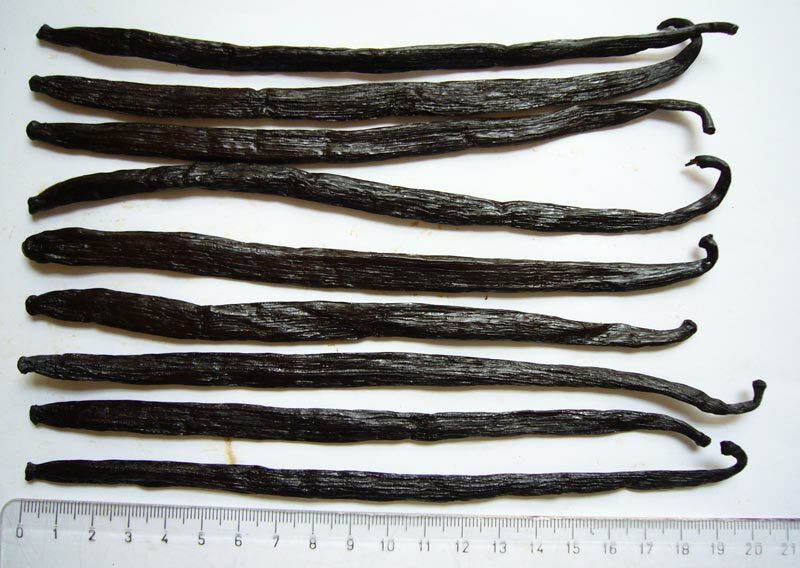 Vanilla beans reviewed: India planifolia, Indonesia planifolia. Cost: Beanilla provided this sample for review. 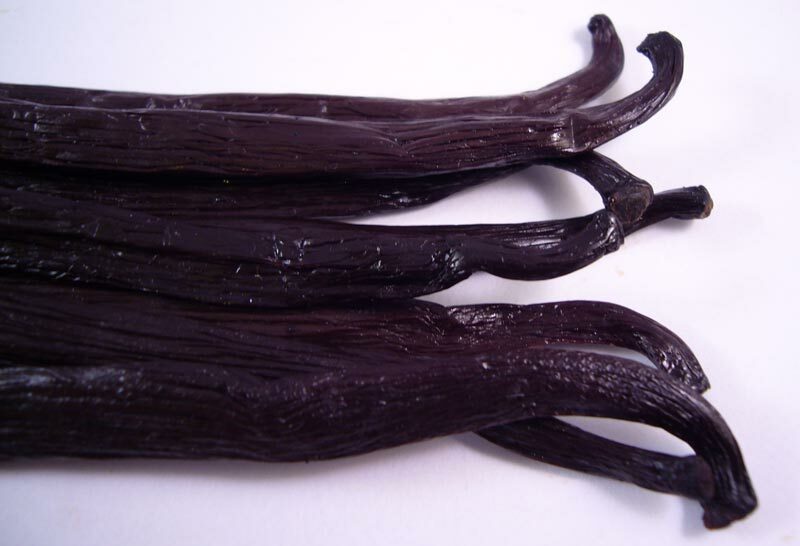 Beanilla’s excellent Madagascar, Tonga, Mexico, and Papua New Guinea vanilla beans are already featured on this site. 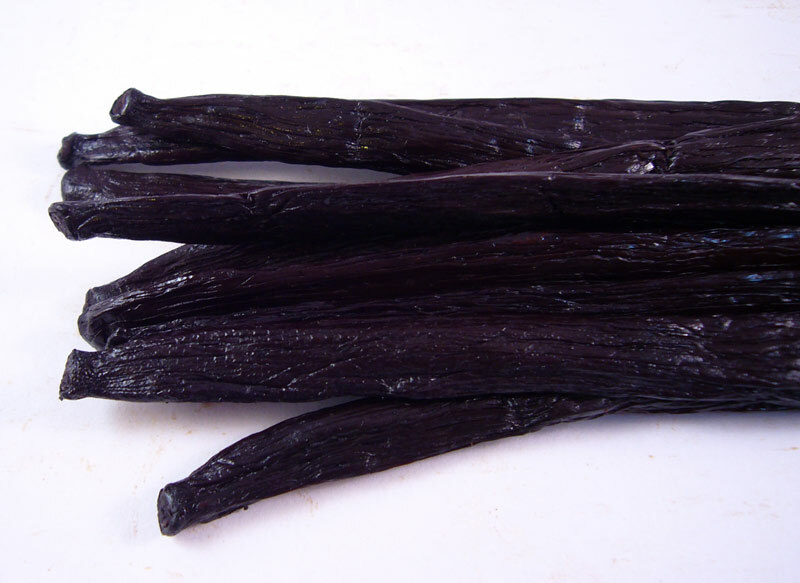 Recently, they added India and Indonesia grown planifolia pods. Brent at Beanilla sent these vacuum-packed samples for review. Rarely do you find two beans with such different and distinct aromas, it’s an exciting and obvious contrast. 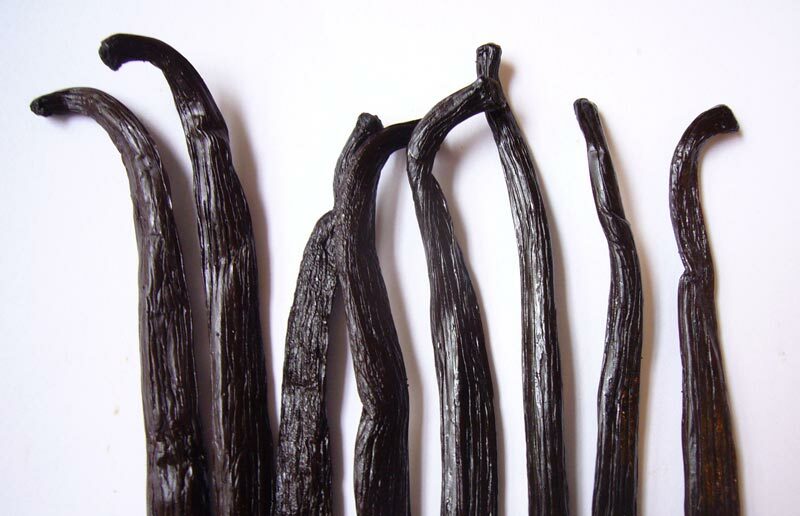 More and more India vanilla is coming on the market. Two years ago it was difficult to track down, but in the past six months I’ve evaluated several samples. 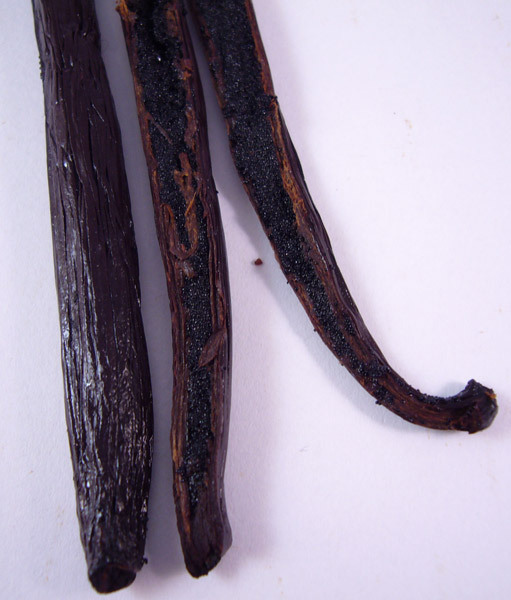 Beanilla’s India vanilla beans are dark brown in color. 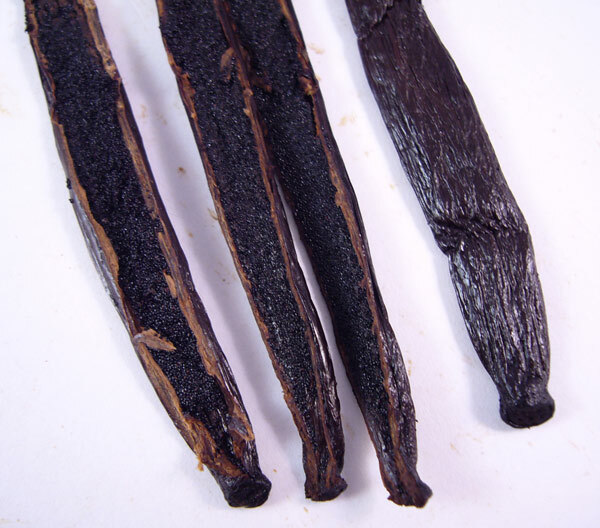 The skins have a beautiful texture, the smoothness and sheen of the pods are evidence of expert curing. The pods are well-shaped and very flexible. 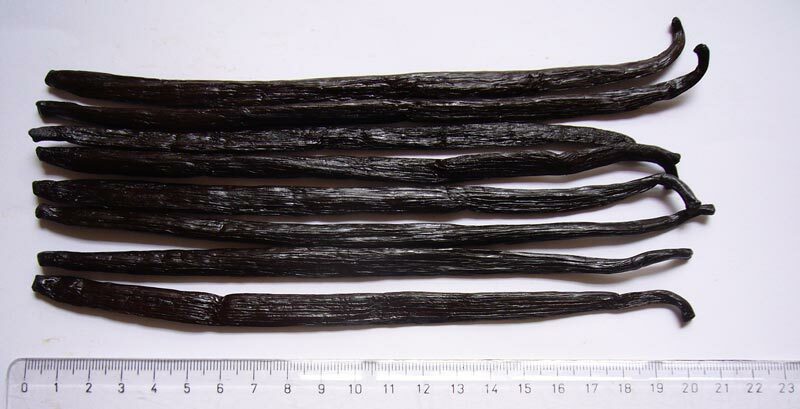 These vanilla beans are turgid with caviar. 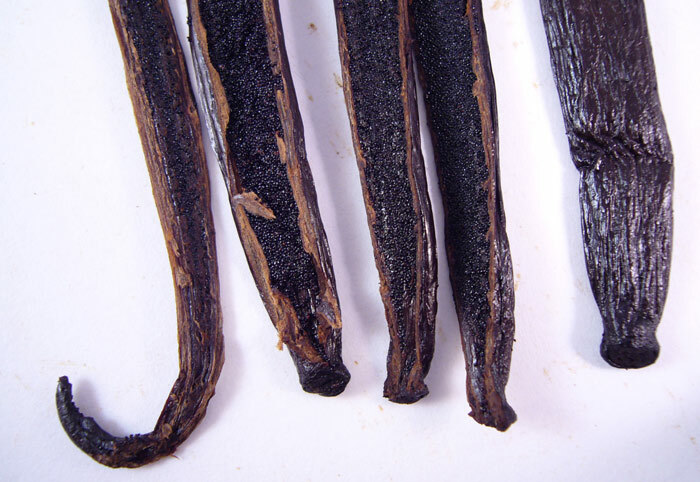 Inside, the vanilla pods are oily and gooey. Sticky strings form as the bean is pulled apart. 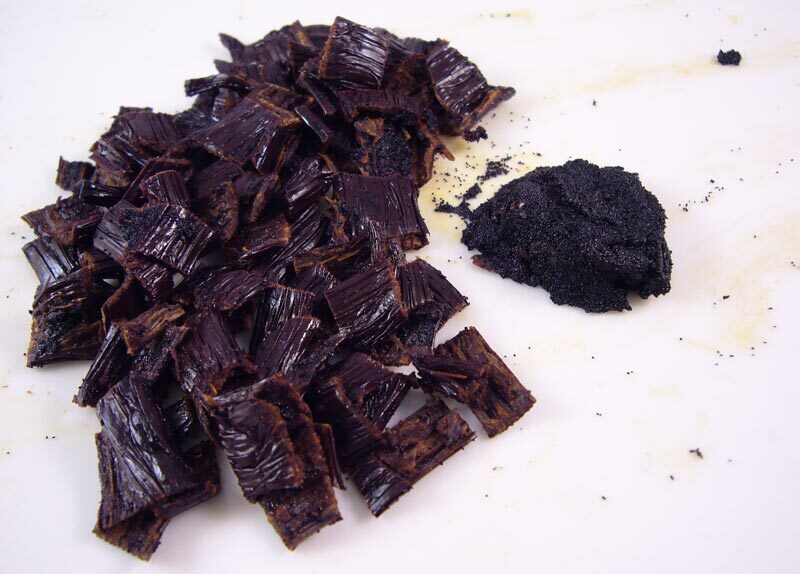 The aroma is dark and rich, with strong overtones of chocolate and prune. 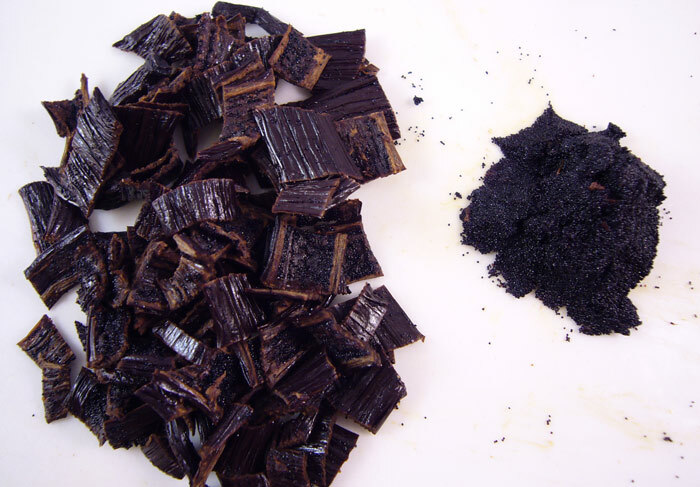 There’s a large yield of thick, moldable, and very oily caviar in each bean. 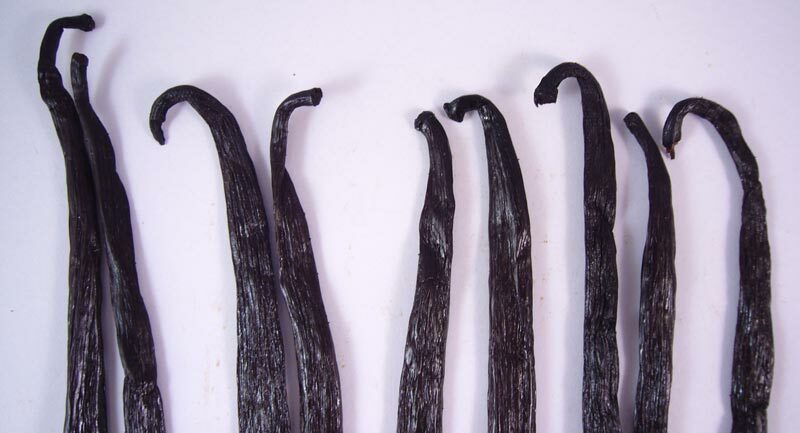 Indonesia vanilla beans are often picked too early, and the curing process is typically hasty and unrefined. 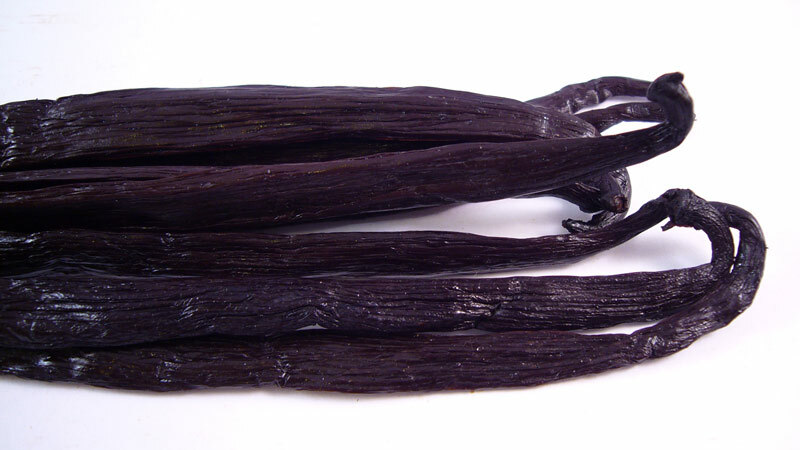 Gourmet Indonesia vanilla is rare; there’s only one other example on this site. 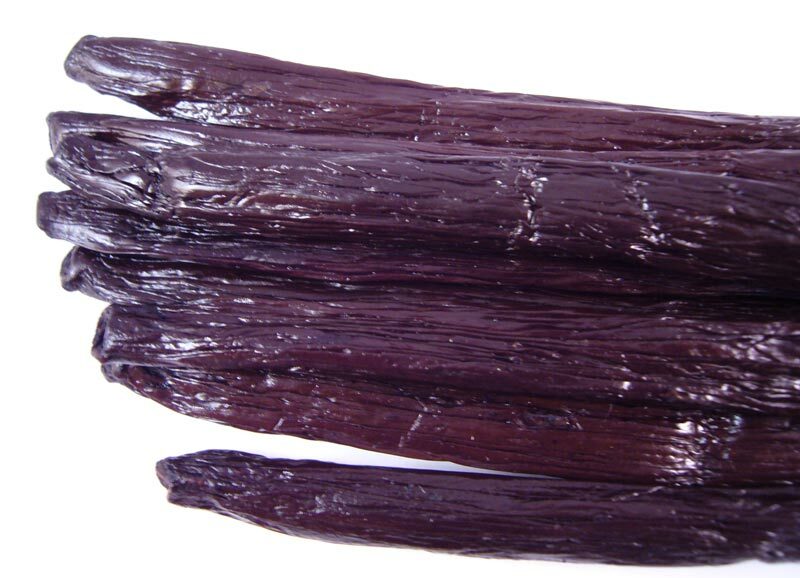 Beanilla’s Indonesia grown beans are black in color. The pods are flexible, but flat and not plump. The skins are moderately oily and only moderately supple, but these are still among the best cured Indonesia beans I’ve evaluated. The caviar is pillowy and light. It has plenty of moisture, but isn’t especially sticky. Caviar yield is moderate. The beans have a spicy, cinnamon aroma that is a noticeable contrast to the India beans’ chocolate notes.